“Chinese Baroque” explores the dynamic and complex cultural exchanges between Western Europe and China in the 17th and 18th centuries, through the lens of music. Enjoy rare delights ranging from the only Western-style sonatas written in China before the 20th century to a tune played by the Emperor Kangxi! 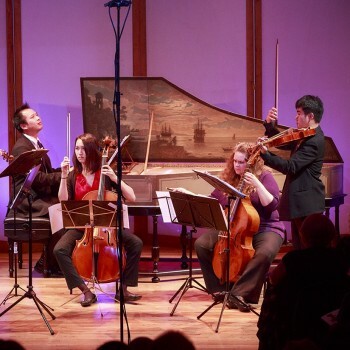 MUSA is a chamber ensemble dedicated to historically informed performances of Baroque and Classical repertoire, as well as new music for period instruments, which showcases the talents of younger area professionals.